With full engineering capabilities, CNC capabilities, and a large inventory of pouring molds and patterns, we are able to produce the bearings you need! 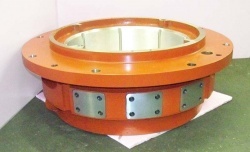 We provide the best support anywhere for your bearing repairs. We proudly service all industry requirements. We service multiple industries including Hydro Power, Motor Repair Companies, Aluminum Mills, Cement Plants, Chemical Plants, Fossil Plants, and much more! 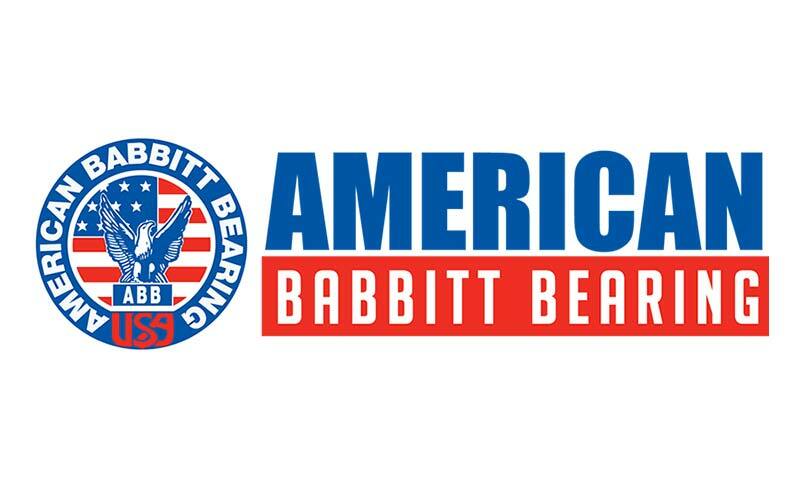 WHEN YOU'RE THINKING BABBITT BEARINGS, THINK AMERICAN! Our 10 foot outside diameter machining, CNC machining capabilities along with our ISO 9001 2008 certification has afforded us the opportunity to manufacture and repair some very large projects for various Hydro Power Plants throughout North America. We service our customers from one location in Huntington, WV. While others may try to duplicate our name, none compare to what we have to offer. Our plant contains 30,000 sq. ft. of workspace with ample room to grow. 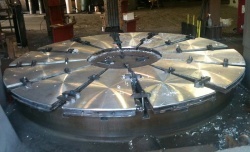 We have more than 30 production machines, some of which provide capabilities unexpected in a plant our size. We centrifugally cast bearings up to 120" OD using ASTM certified Babbitt compositions. The Babbitt alloy is melted in 2500 pound capacity ovens having strict temperature controls. 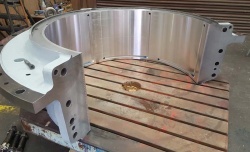 Although most of our work is bearing repair, we have the engineering and technical expertise to manufacture new bearings as well. 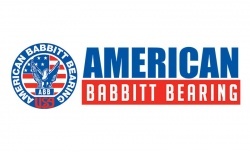 If you are in need of American Bearings contact American Babbitt Bearing for more information.